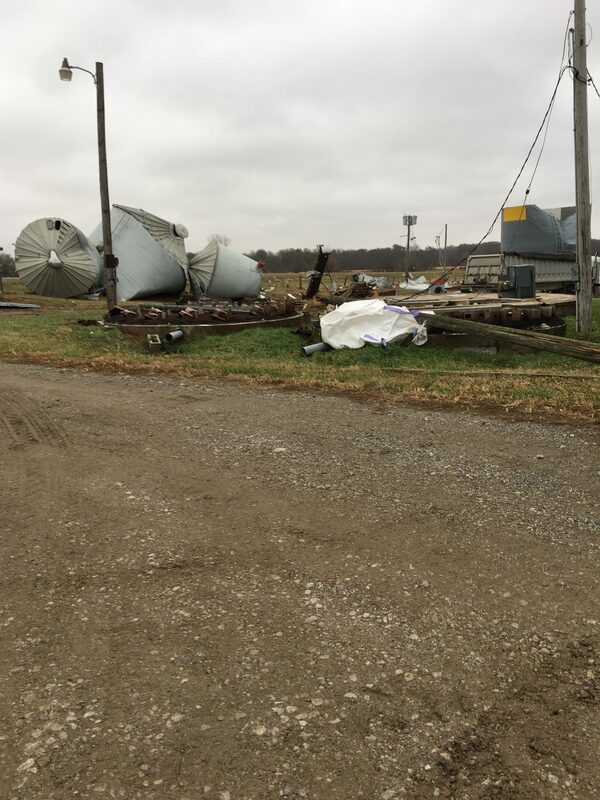 A severe thunderstorm rocked southeast Kansas late Friday night resulting in damage to a local business and various residences across the area. 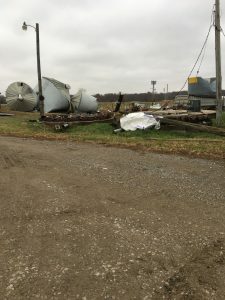 Owners of Delange Seed, located west of Girard, woke up Saturday morning to a sight they’d never thought they would see. Numerous grain storage bins had been destroyed and blown all over the facility area and across the highway to the north. In addition buildings around the area had been completely destroyed, power lines were knocked down and even a semi was blown over. Although this wasn’t the expected morning they were planning, numerous people made their way out to aid them in anyway they could. 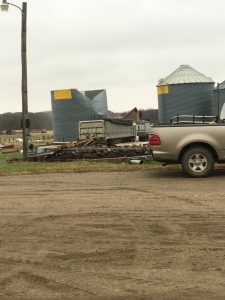 Employees from Delange Seed, DTL Transportation, Beachner Grain, community members and various seed dealers and their families could be found helping move grain from damaged bins, seed out of damaged buildings and just cleaning up the area so semis and other vehicles could be moved. It’s amazing the kind of support that arises when destruction and tragedy strike and it is a blessing to live in a community where people join together to help one another. 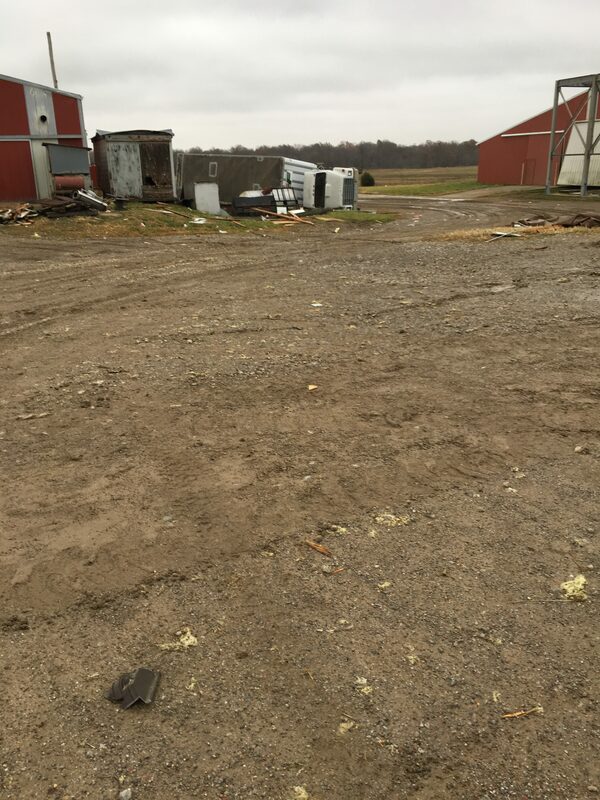 **Due to the amount of work being done before the rain Saturday, members of Delange Seed could not be reached for comment at this time. We will be following this story and updating as new information and details become available.